I can’t tell you how frustrating it is to keep up with trying to increase my weights. I started my journey with a set of dumbells (3, 5, 8 lbs.). Well I soon outgrew those weights. As I stayed consistent with my workouts, I was having to increase my weights more frequently. This is a good thing! Essentially it means I am getting stronger and building lean muscle. So guess what finally arrived today? 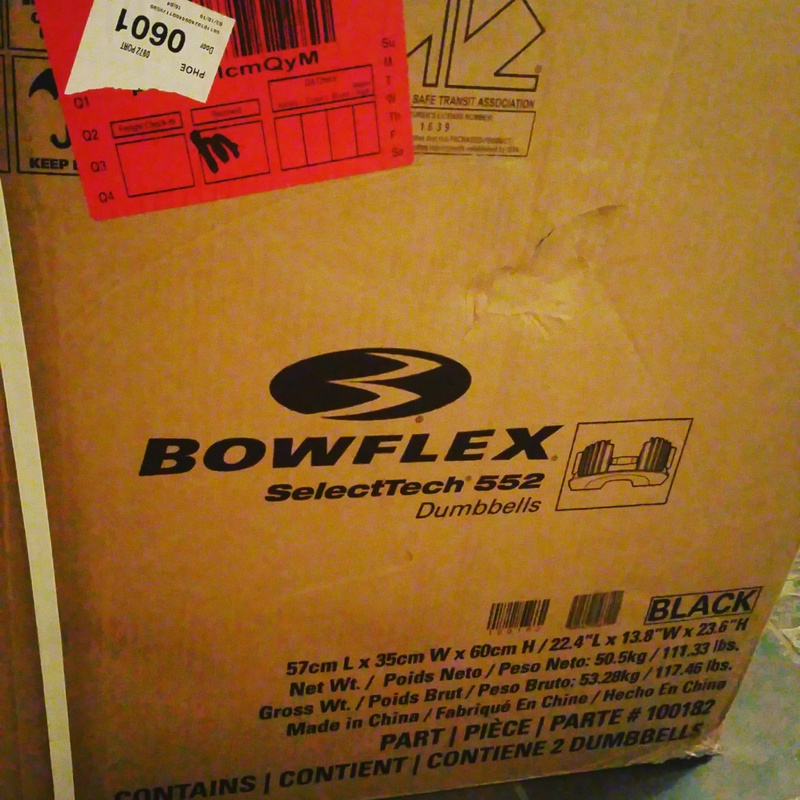 The ever coveted bowflex selecttech 552 adjustable dumbells. I haven’t had a chance to use them or unpack them from the box. But you can be sure I will be busting these babies out of the box tomorrow. Do you have bowflex dumbells? How do you like them? I’d love to hear your opinion. Feel free to get in touch @jenross76 on facebook, and @jenross76 on instagram.